Tim is available to give talks and presentations to a wide variety of audiences for both private and public functions. Talks can be tailored to suit individual events. Tim’s talks are informative and humorous. His enthusiasm for the mountains is infectious and will have you reaching for your hiking boots. A late starter to the high mountains,his journey shows us what we are all capable of. With a teaching and training background, Tim is comfortable speaking to children and adults. 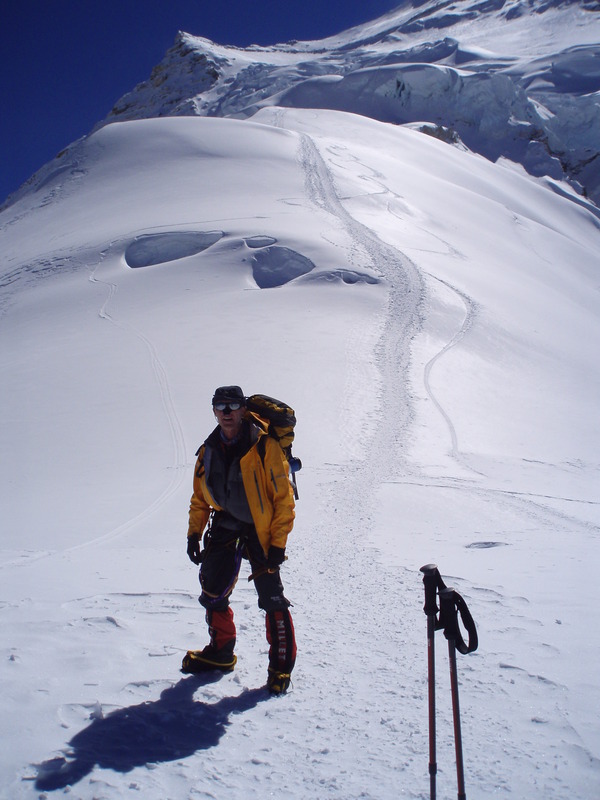 All Tim’s presentations are supported with wonderful photographs showing all aspects of living and climbing on the mountains. Please use the ‘contact’ page to get in touch with Tim to check his availability. Rates are competitive, especially for charitable and educational presentations. A career in the Fire Service and many years on the rugby pitch, as a fixtures secretary, coach and captain, coupled with over two decades of climbing, both trusting and being trusted, confirms that Tim is definitely a team player and believes in the benefit of collective effort. As a Fire Safety and Operational Area Manager in the Fire Service, Tim demonstrated a variety of types of leadership required of the diverse circumstances and recognises the importance of styles of leadership in response to differing criteria. Those involved with competitive sports and those that require the limits of physical endurance can only excel when there is personal motivation. Tim has demonstrated motivation in numerous areas. His commitment and enthusiasm is infectious. Effective communication is key to success whether on an 8000m mountain or in an office. A continuous thread through our lives from birth to death and one we neglect at our peril. As a manager, mountaineer, rugby player or a Support Worker for non sighted adults with educational needs, Tim endeavours to always communicate effectively. Never one to be idle, Tim believes fully in the saying, ‘One Life, Live It’. Having experienced personal tragedy earlier in his life, he is committed to achieving goals and securing best results. The obvious example of this is his Seven Summits status. As he heads towards his 60’s he shows no sign of resting up, as he continues to plan expeditions to climb the high mountains of the world. thanks for coming to Edinburgh to give your talk, it was definitely the highlight of the day for me, an excellent informative and funny talk. Thanks Jim for your kind comments. I thought for a first Outdoor Pursuits show in Edinburgh it was very well attended. Suzie Richardson, Mike and Dave and the rest of the team did a grand job. Next year should attract even bigger names.